Wood Group Industrial Services is a major industrial maintenance company. 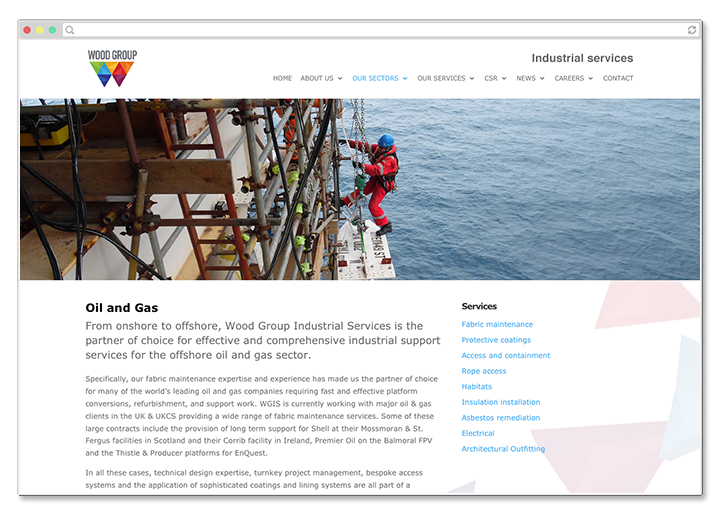 Providing specialist industrial services that support the construction, maintenance, decommissioning of major engineering projects such as bridges, chemical plants, ships, oil rigs and power stations. 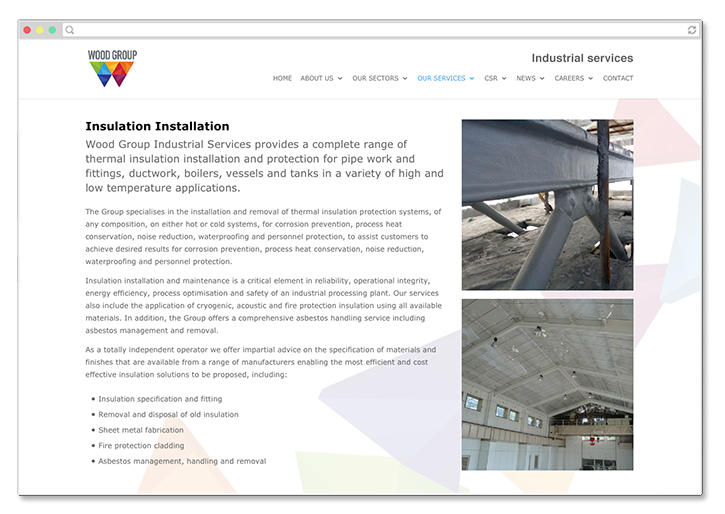 Working closely with their marketing team, Infinite designed and developed the Wood Group ISL website. 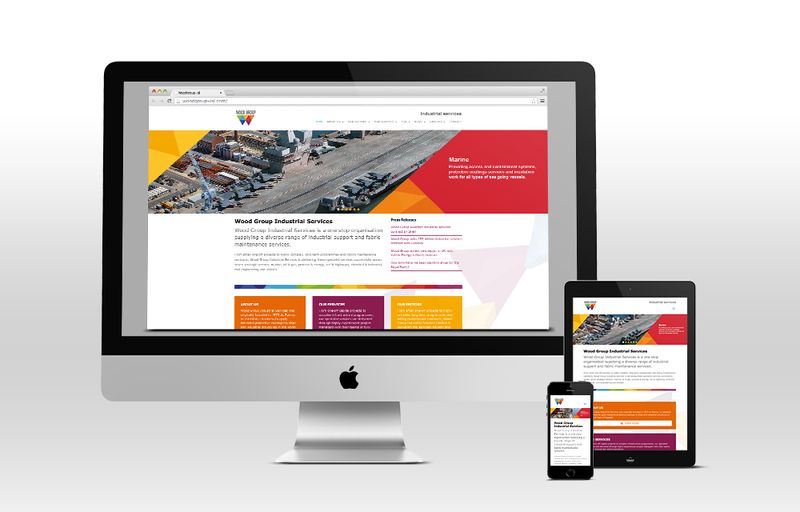 We used a responsive framework so the site optimises for whatever device the user views it on and built it on WordPress so it’s easy to update and expand in the future. Wood Group Industrial Services is a major industrial maintenance company. 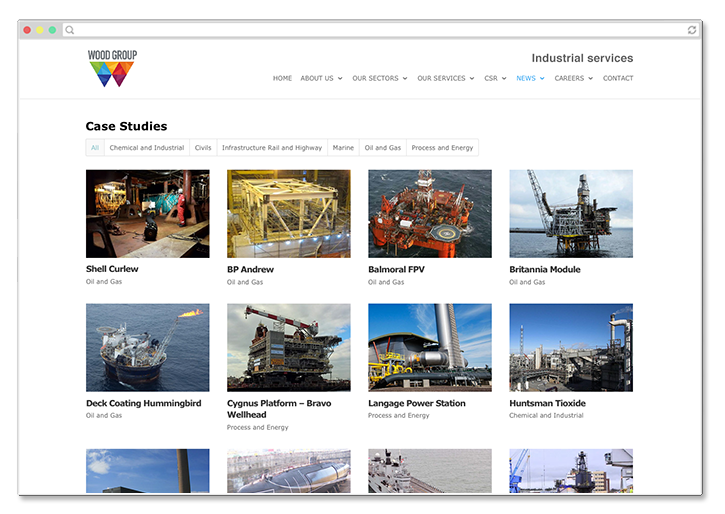 Providing specialist industrial services that support the construction, maintenance, decommissioning of major engineering projects such as bridges, chemical plants, ships, oil-rigs and power stations. 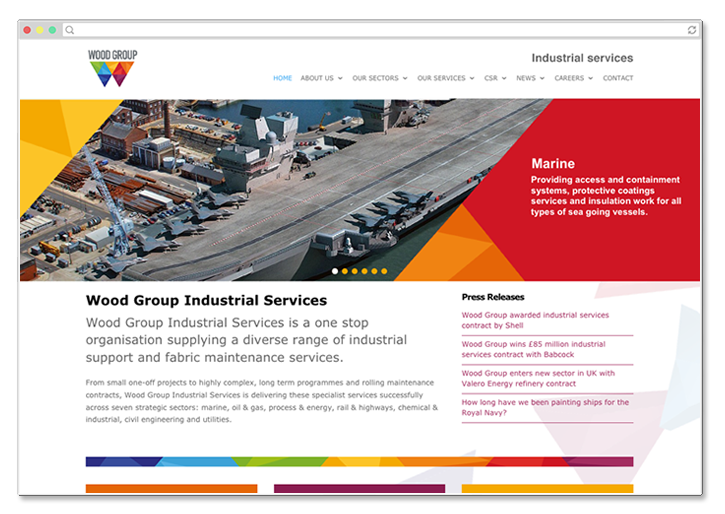 Working with marketing agency MHW, Infinite designed and developed the Wood Group ISL website. We used a responsive framework so the site optimises for whatever device the user views it on and built it on WordPress so it’s easy to update and expand in the future.